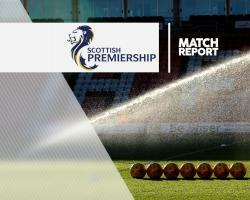 Neil McCann enjoyed a winning start to his Dundee reign as his side moved out of the Ladbrokes Premiership bottom two with a 3-2 victory at Motherwell. Mark O'Hara, with two goals, and Marcus Haber were on target at Fir Park as Dundee scored three times in quick succession to jump above Motherwell and Hamilton in their first match since Paul Hartley was sacked. Dundee had not claimed a point in seven games since their last visit to Fir Park, when they scored five first-half goals to consign Mark McGhee to the sack. McCann opted for a 4-5-1 formation with striker Faissal El Bakhtaoui dropping out and Dundee rarely ventured forward for most of the first half. But Motherwell, without the injured Stephen Pearson, did not show the quality to take advantage as they failed to make the most of a series of corners and free-kicks from dangerous areas. Elliott Frear put in some better balls from open play but it took Motherwell more than 30 minutes to get a shot on target, when Moult chested down a cross and fired straight at Scott Bain. Cadden's over-hit cross from the right forced a backtracking Bain to touch the ball over his bar but Motherwell were hit with a sucker punch in the final minute of the half. Nick Ross's cross broke for Haber and Craig Samson blocked but could not hold and it fell for O'Hara, who lashed high into the net from six yards. Moult had a header cleared off the line following Cadden's corner moments later but Motherwell found themselves two down inside four minutes of the second half. Left-back Kevin Holt was allowed to sprint to the byline unchallenged and his cutback was ultimately converted by Haber from close range after O'Hara's initial effort was blocked. Motherwell responded within a minute when Moult fired a left-footed shot into the roof of the net from a tight angle after Frear's corner found him unmarked beyond the far post. O'Hara stooped to head and his effort bounced off Haber's leg and beat Samson. Bain made an excellent stop from Frear but Motherwell lost Scott McDonald to injury, leaving winger Lionel Ainsworth to play up front with Moult. Heneghan looked to have pulled one back with a header from Ainsworth's corner but the officials played on after the ball appeared to be cleared from behind the line. They soon had their goal though when Cadden slid in to convert Ainsworth's pass with 10 minutes left.